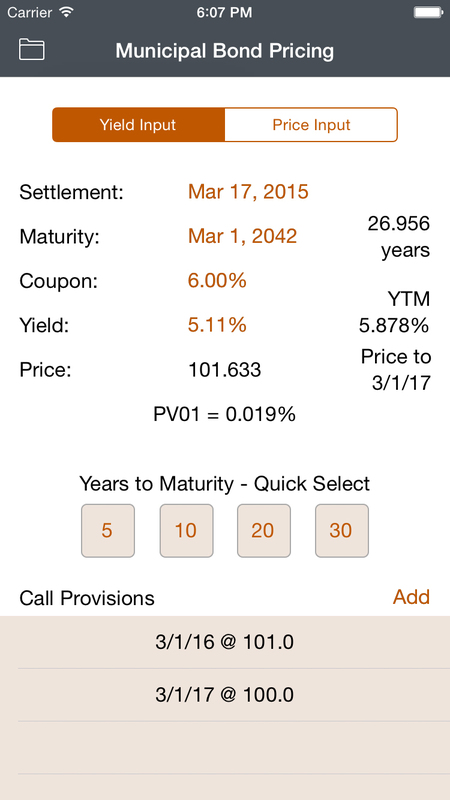 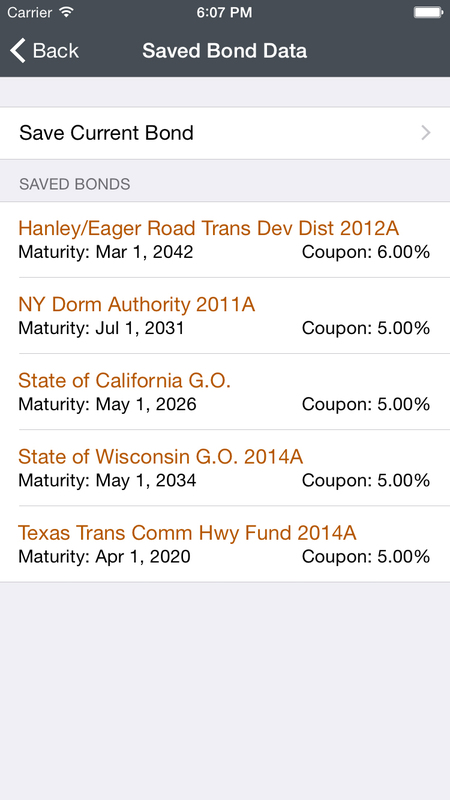 This app is a municipal bond analytics calculator. 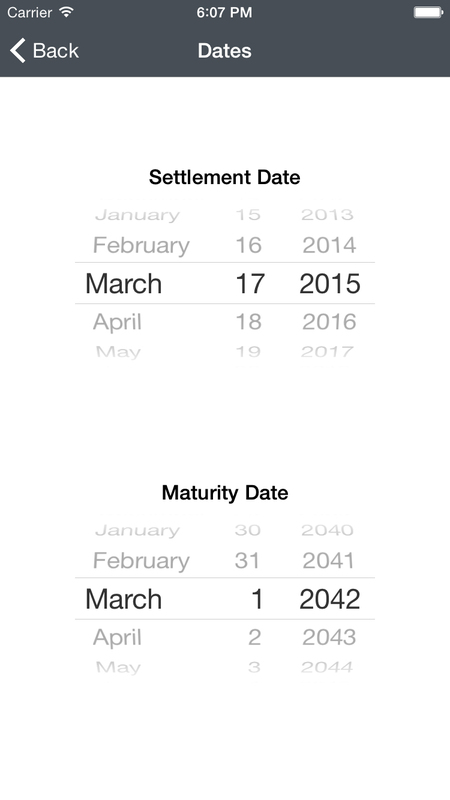 You enter the settlement date, maturity date, coupon rate, and multiple call dates (if applicable). 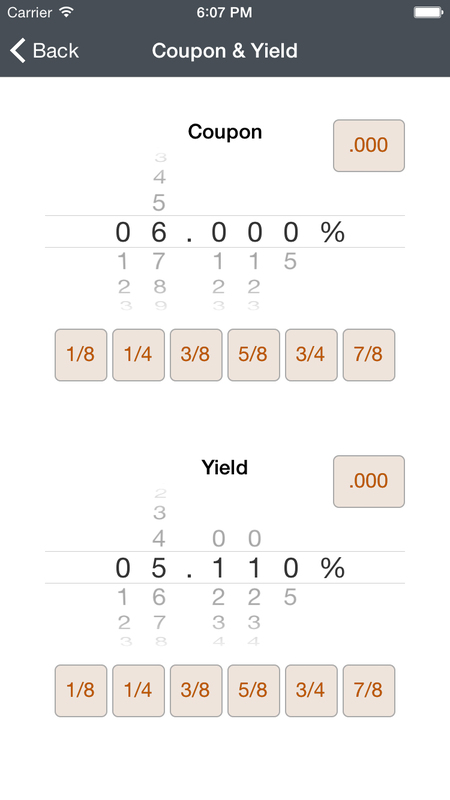 Then, you can either enter the yield to determine the bond price, or you can enter the bond price to determine the yield. 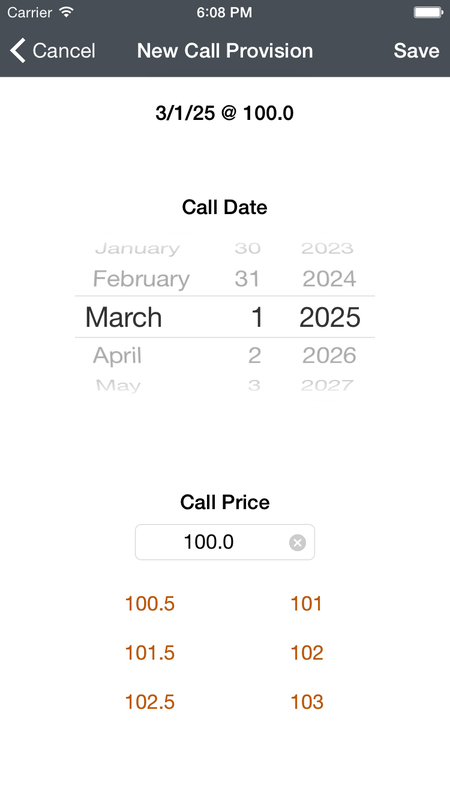 Other information that the app calculates includes the term of the bond, the yield to maturity, the date to which the bond is priced, and the present value of a 1 basis point movement in yield. 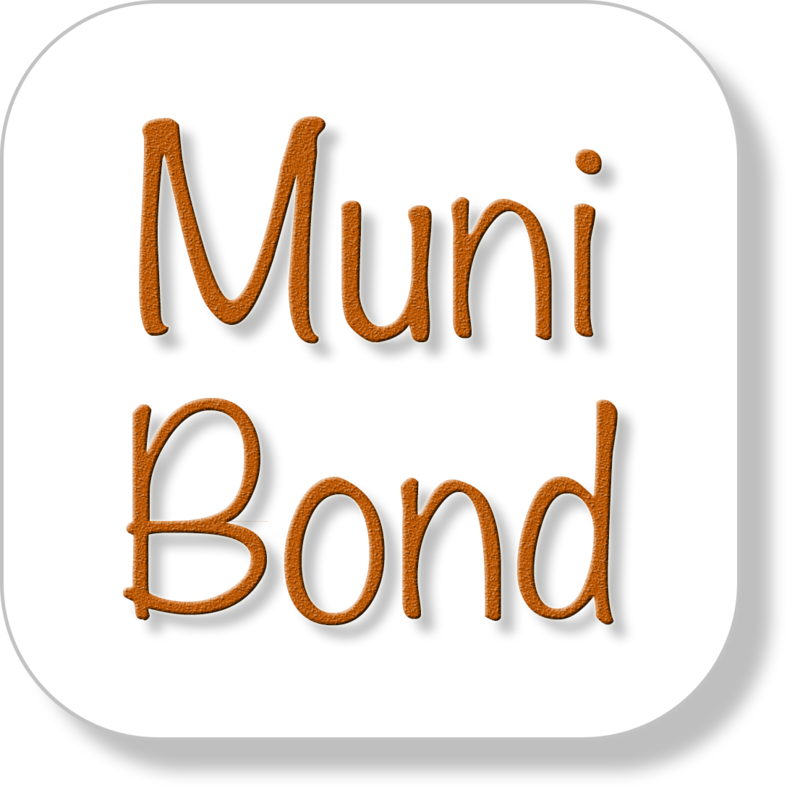 *The Municipal Bond Pricing app uses the standard 30/360 day count convention and assumes semi-annual interest payments.